The Enlightenment redefined the ethics of the rights of man as part of an outlook that was based on reason, the equality of all nations and races, and man’s self-determination. This led to the rise of a new language: the political language of the moderns, which spread throughout the world its message of the universality and inalienability of the rights of man, transforming previous references to subjective rights in the state of nature into an actual programme for the emancipation of man. Ranging from the Italy of Filangieri and Beccaria to the France of Voltaire, Rousseau and Diderot, from the Scotland of Hume, Ferguson and Smith to the Germany of Lessing, Goethe and Schiller, and as far as the America of Franklin and Jefferson, Vincenzo Ferrone deals with a crucial theme of modern historiography: one that addresses the great contemporary debate on the problematic relationship between human rights and the economy, politics and justice, the rights of the individual and the rights of the community, state and religious despotism and freedom of conscience. 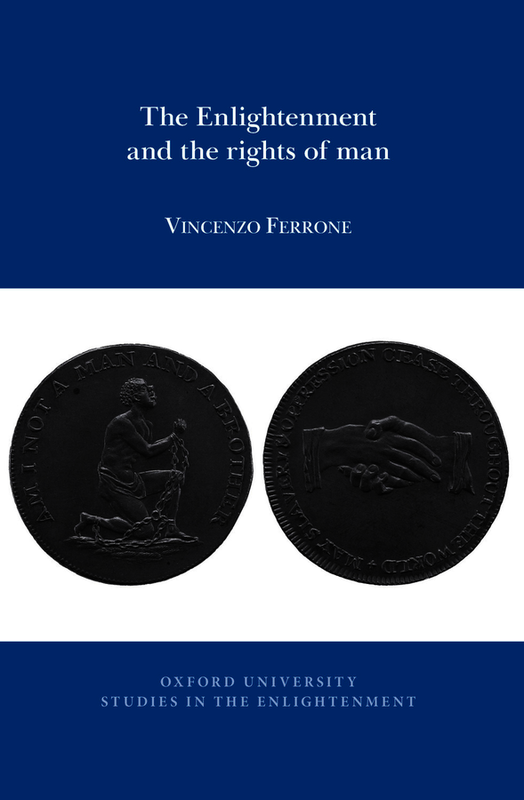 Vincenzo Ferrone has written extensively on the Enlightenment and Ancien régime Europe. He has taught and held fellowships at the Princeton Institute for Advanced Study, Ca’ Foscari University in Venice, and the Collège de France in Paris. He is currently Professor of Modern History at the University of Turin.